Whether your a tumbling tot or a funky groove, come on down to the best Disco in town! 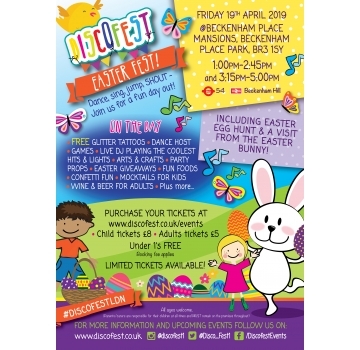 Easter Fest at Beckenham Park Mansions! This Easter the Easter Bunny will be paying us a visit, as well as having an Easter egg hunt.